We had another Seasalt order to complete this month, with the month being shorter and some members of staff being away it was more of a challenge. The order was slightly smaller. We visited the new Seasalt store in St Ives, which was good to see all of our work in a local shop. been shipped off to a gallery. 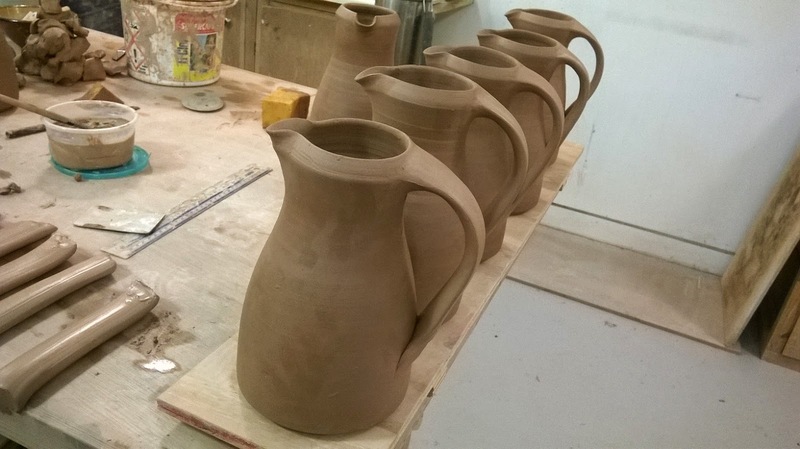 I have also thrown some larger jugs. Pulling the handles was more of a challenge, as they were so much bigger. But I got better as they went on and became more confident. 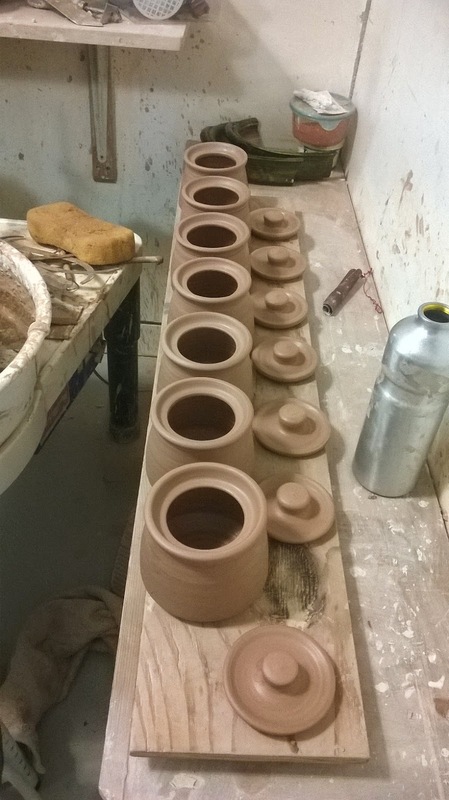 We had a lot of glaze firings in order to finish the pieces. I have spent a lot more time working on my own pieces this month. 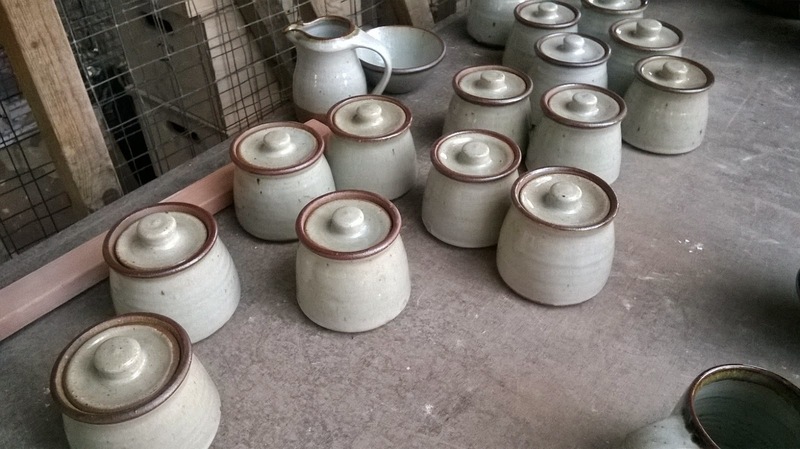 I have fired 2 glaze kilns, which were successful and I have made a lot of new pieces. Here are a few pieces from my most recent firing, including some lizard mugs, an oven dish and a carved platter. I have also had some feedback from glaze tests, some of which were successful and I plan to use them in my next firing. images of new pieces, and also preparing for Hatfield in various ways, including ordering price stickers etc.